Maremma sheepdog is considered a good guard dog, living in Italy, being a courage breed, so it is on the top of the other Italian dog breeds, being so active breed, so it loves running in the fields, having white coats that make it confusing with the great Pyrenees, but the Maremma sheepdog is more alert and dignified, weighting about up to 100 pounds. 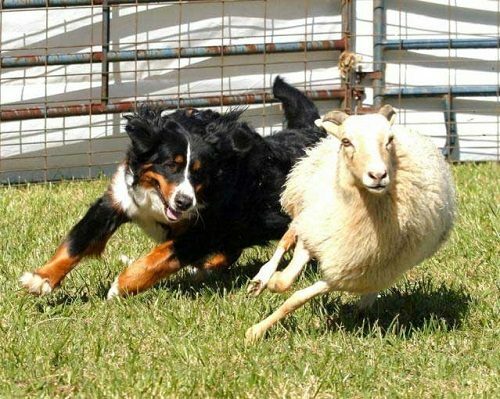 Maremma sheepdog should be trained properly to ensure that they wouldn’t jump and knock you over. It should be brushed three times per a week to keep them in a good look and prevent mats from occurring. 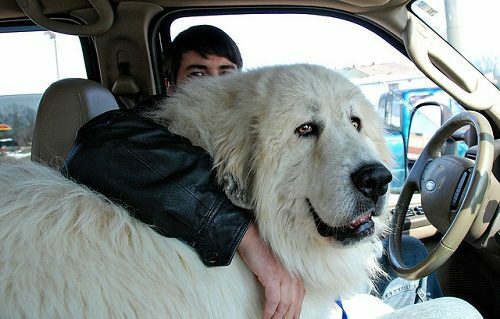 Great Pyrenees is considered a gentle french dog, being calm, playful, having the ability to sense any kind of danger, so they became worried when any strangers entered the home, being loyal companions to humans, used to protect livestock, as sheep and goats, weighted about 100:125 pounds, having a long coat to protect them in the cold weather so it brushed regularly. Its nails should be trimmed if they are not active outside. 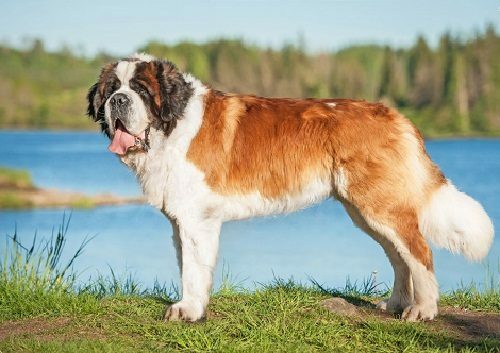 Saint Bernard is considered an infamous dog breed, belonging to Switzerland, trained by the monks that have lived in Switzerland for many years, known for its strong sense of smell, being excellent watchdogs, being gentle with children, weighted about 100:200 pounds. Some of st. Bernards have a short coat and the others have long coat, so they should be brushed regularly to keep them in good look. 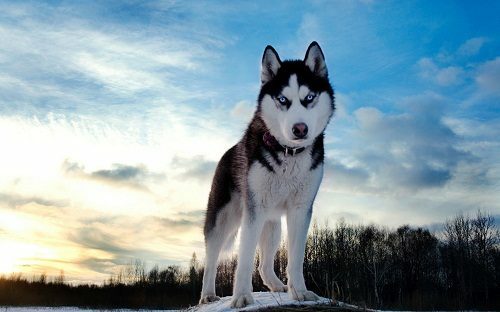 The Siberian Husky is considered a mountain dog breed that belonged to the Siberian Arctic since 3000 years, being active breed, so it becomes boring if it didn’t find anything to do. 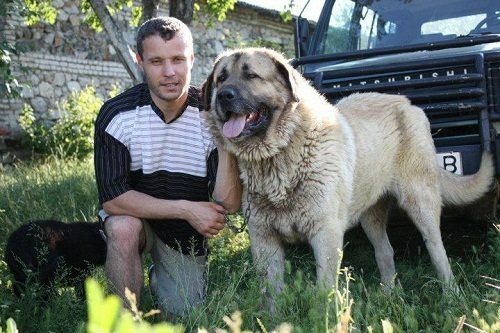 Its life span is about 12 years, being bathed and brushed regularly to remove all of the fur, weighted about 60 pounds. 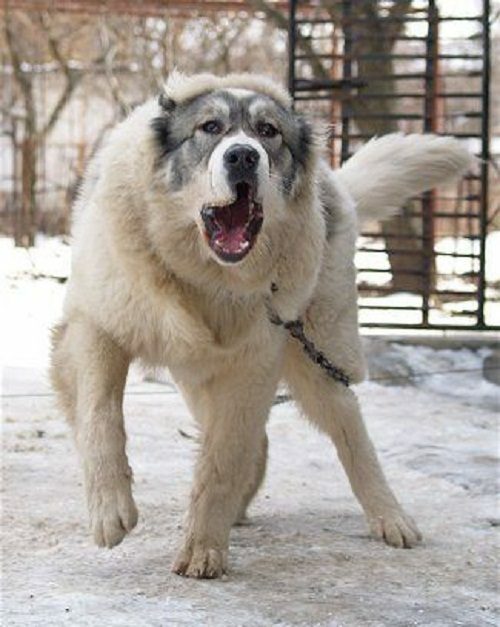 A Karakachan bear dog is considered a mountain dog breed, being courage, used to combat bears in the forest and protect the home, used also to pull sleds to enable the hunters to take their kills back to their home instead of lugging it back through miles of thick snow, having a thick fur to keep them warm in the cold weather. 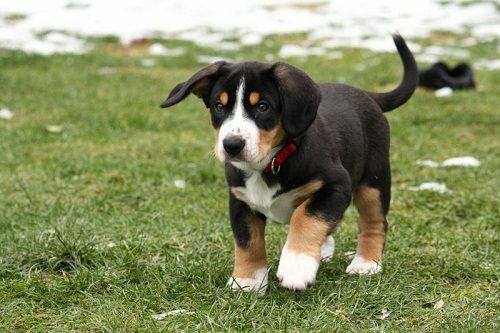 A greater Swiss mountain dog is considered a mountain dog, used to drive cattle, protect your home, herding small children in the yard if they are roaming around free, weighted about 150 pounds, having a thick undercoat to keep them warm in the cold weather of the Swiss mountains, having dense fur that should be brushed weekly. 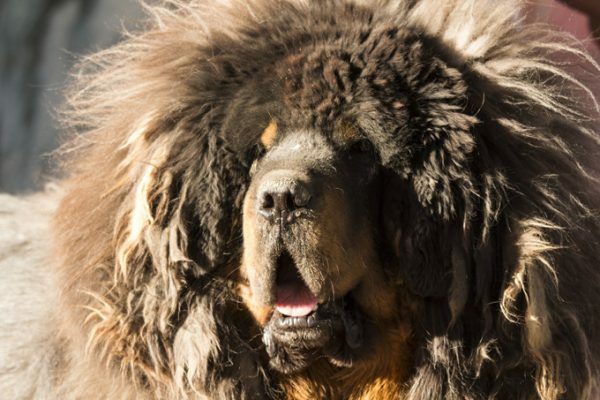 The Tibetan Mastiff is considered the most expensive dog breed in the world, having a body full of hair and a fearless face, living in the mountains, being so strong breed, used as guard dogs, having many colors as black, brown, deep orange-red or dark with tan markings, having a heavy undercoat to keep them warm in the winter, weighted about 150 pounds, so they are stocky and sturdy dogs. Entlebucher Sennenhund is considered a very loyal dog breed, having a very smooth coat, used for pulling carts and used as herding dogs, being intelligent and independent, so they aren’t shy away from challenges, being similar to the Bernese mountain dog, having short coat that needs regular brushing, weighted about 65 pounds, and can live up to 13 years. 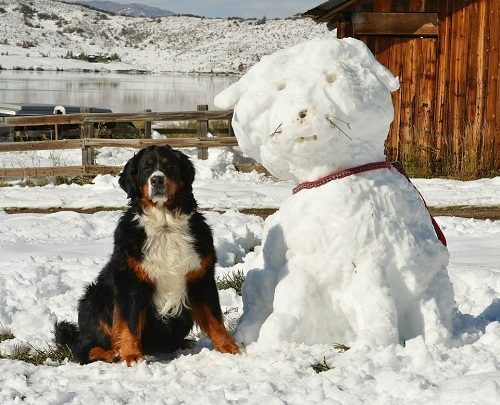 Bernese Mountain dog is considered one of the most beautiful mountain dog breeds that needs regular grooming and regular bathing according the amount of the outdoor activity, belonging to Switzerland, used for herding the livestock, having alert eyes and a playful smile, weighting about 110 pounds. Its lifespan is about 7 to 10 years. 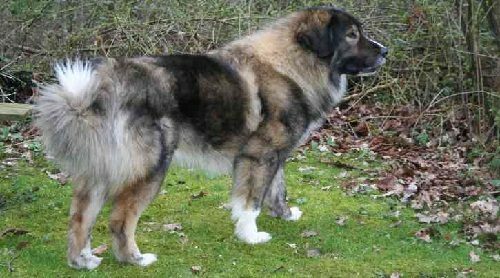 The Illyrian mountain dog has another name which is The Sarplaninac, living in southern Kosovo and the north-west part of Macedonia, measured as 22:24 inches, weighing about 55:88 pounds, having thick and well distributed with many colors as white, black and grey, being a medium-sized breed, being an intelligent breed used as a guard dog, being gentle with the children, used for working farms and requires regular training because of its intelligence and its active nature. 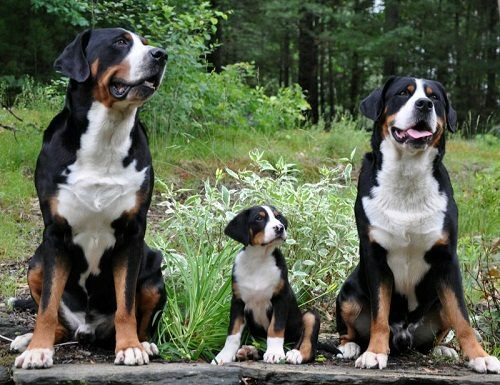 Although these mountain dogs are considered large dog breeds, they need a special kind of care, so living in an apartment is not suitable for these large breeds, as it needs a lot of space to enable it to move and doesn’t knock things over, and the large space is also suitable for a large amount of exercise. You should also take your dog to walk outdoors in the parks to see new sights. 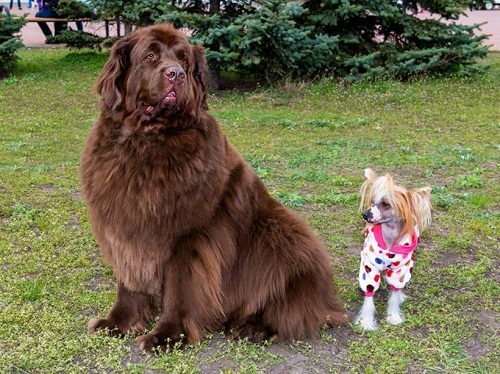 Their thick coat should be brushed regularly. 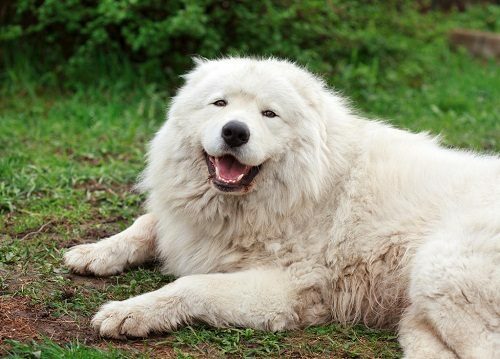 Its rapid growth couldn’t be controlled that leads to many diseases as they got older, so you should avoid feeding your dog the foods that are high in calories, but they need a large amount of protein to promote their health. 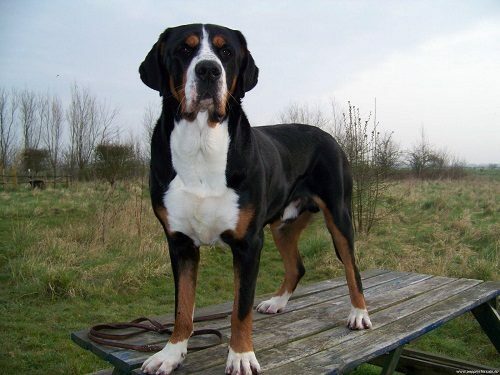 You should provide your mountain dog with health care and safety to ensure that it will live with you many years.